This White Board Friday marks the first of a small series of videos that is exclusively about exploratory testing. Today, we’ll cover 4 key principles of exploratory testing. 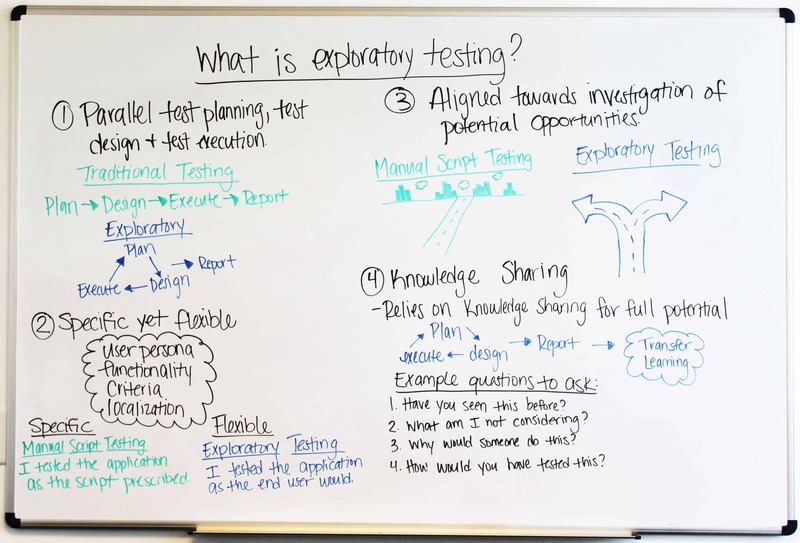 Hey everyone, welcome to Whiteboard Fridays, and today we’re going to be talking about exploratory testing, and specifically around the four principles of exploratory testing. The first principle of exploratory testing is that it runs in parallel with planning, designing, and test execution that’s wrapped up into one session. 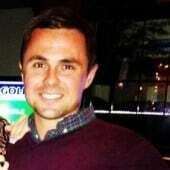 Where a traditional testing usually revolves around a very linear approach to your executing and your planning and designing, exploratory testing allows you to take your planning, designing and executing all in one session so that it’s very easily being able to report after you have all of your findings. You’re not constrained to a linear method for that testing. The second aspect is that exploratory testing is specific, but it’s also flexible at the same time. And this, what this means is that, usually when you do a test case, it’s usually very specific in the script that you are prescribing to do. So step one, step two, step three, step four, and you have expected results with those. With exploratory testing, it’s very flexible in that what you can do is actually have the application, when you’re testing it, you can have the end user in mind and really test it the way the end user would test it, rather than following a prescribed method through your actual testing. The third principle of exploratory testing is it aligns towards investigating potential new opportunities for your testing. If we were to take an example, if you’re going to drive all the way to the city, you may only, in a manual testing route, or pre-scripted testing route, you would only be able to go one highway to get to the city. Well, with exploratory testing, you still have the end goal in mind, but you may need to veer off to the left or right, or take down different roads to get to that area, and that allows you to open up your mind into different areas of the application. So if you are going through a certain flow and design, you can veer off to the left or veer off to the right, and you’re still exploring new areas of the application of your test. And the fourth area of exploratory testing is the knowledge sharing that really is the biggest value after your exploratory session is done. And what that means is that, usually what happens is after you’ve planned, designed, and executed a session, you have to report on something, but that usually gets lost. Usually, we just say, “Yeah, it passed or failed,” but there’s really no, you know, from reporting to knowledge transfer on your teams, there’s really none of that going on. So instead of staring at a bar graph or a pie chart of what’s happened, really you’re taking the information you gathered in that report and we’re making it into consumable, transferable knowledge for your team. So questions you need to be asking, along with your team, after that session is, “Have you seen this area of the application before?” You’re pointing out specific areas of where you went. We’re also asking things, you know, “What am I not considering during this test session that I’m performing?” And some others like, “How would I have tested this with a different variable or if I actually chose to go down route A instead of route B?” So all of these end questions can feed into that knowledge transfer you can share with your team and which really can help out with new opportunities in your application and your test. There’s the four principles of exploratory testing. Thank you for joining us, and we’ll see you next time.